"No two stories are the same, but are linked in their fine marriage of reality and surrealism. 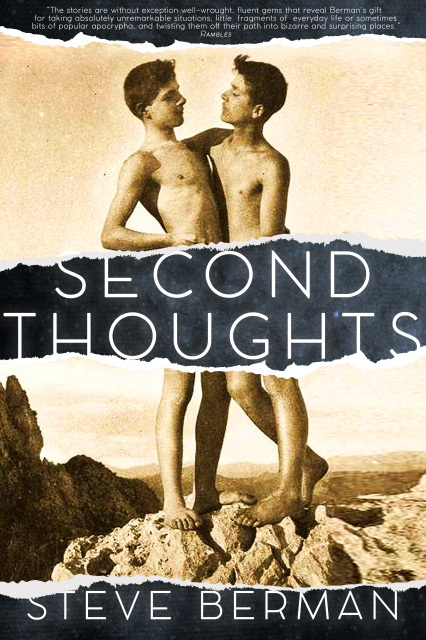 This collection is excellent for readers of the lesser-found gay supernatural fiction, or anyone appreciative of twisted tales in their many forms." In Berman's second collection of thirteen stories and essays, a scent of loneliness entices children to start eating away at a caretaker's historic house; a nursery rhyme tempts a young love; and a meek accountant finds himself abandoning the mundane life he knew to chase after monsters. If you enjoy your speculative fiction with a queer tint, these stories will do the trick. "Always Listen to a Good Pair of Underwear"
"The High Cost of Tamarind"
​"A Troll on a Mountain with a Girl"